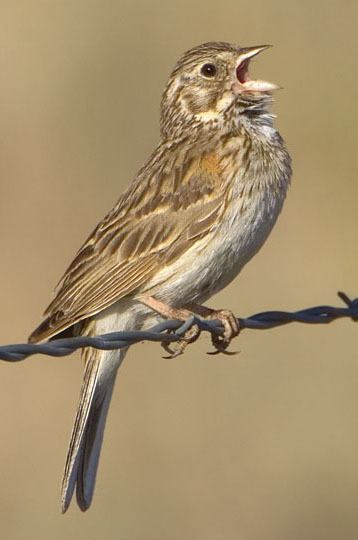 Vesper sparrows have long tails with white outer feathers, finely-streaked breasts, and a distinctive rusty shoulder patch (very visible in the image below at right; often hard to see in the field). 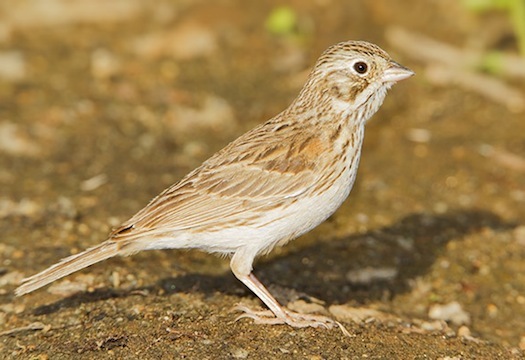 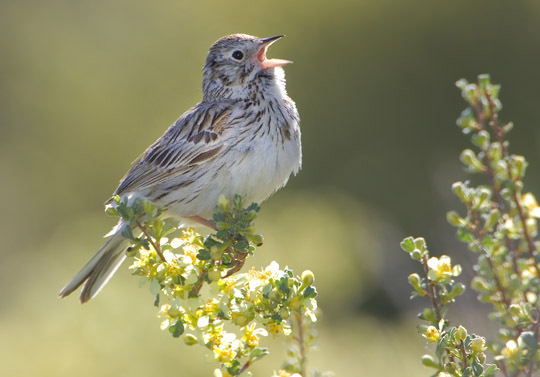 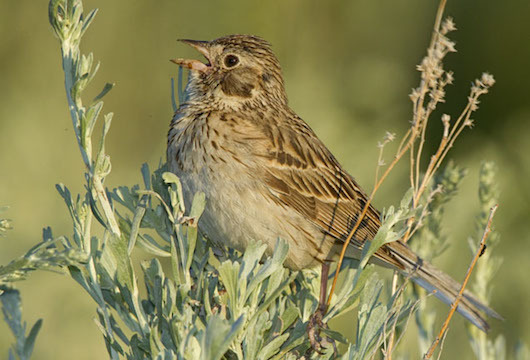 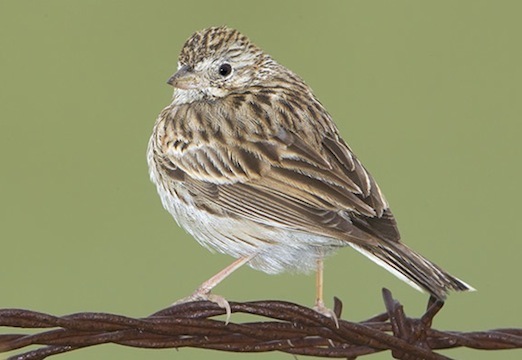 They have a lovely song and typically are found in dry grassland or shrublands. 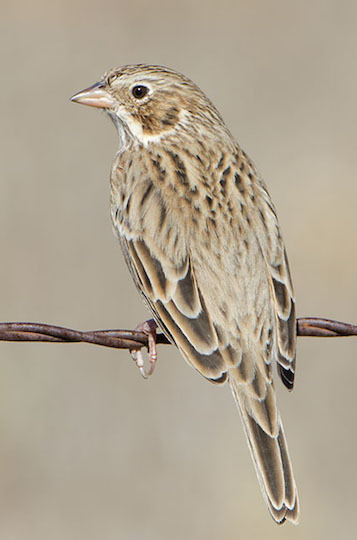 Many of these birds were in the Convict Creek drainage on the eastern face of the Sierra Nevada (Mono County, California). 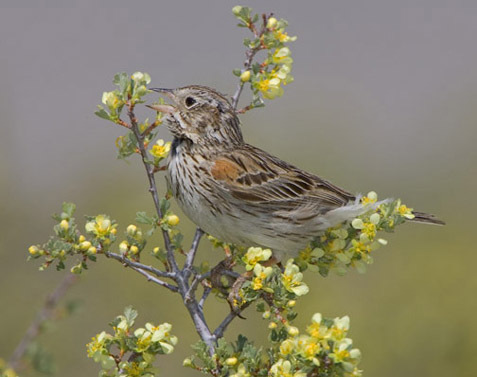 Most were perched in antelope bitterbrush (Purshia tridentata), which was in exuberant flower in the wet spring of 2005 and again in 2011. 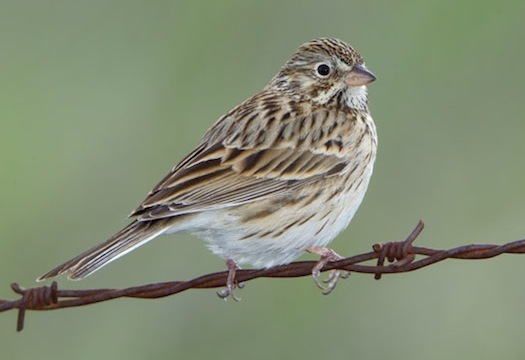 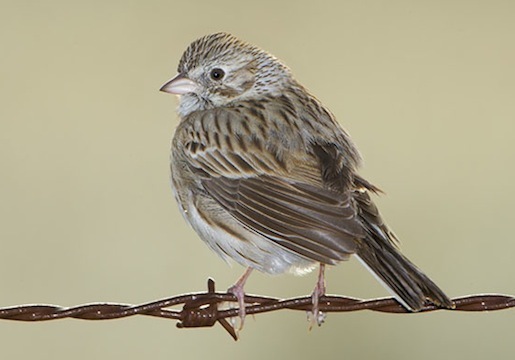 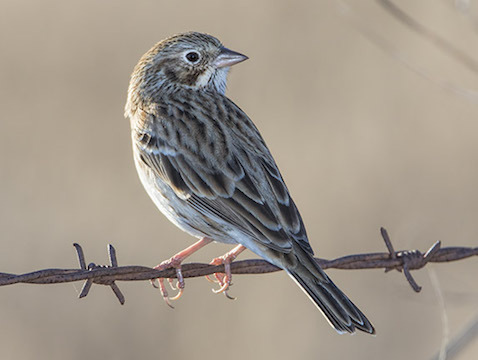 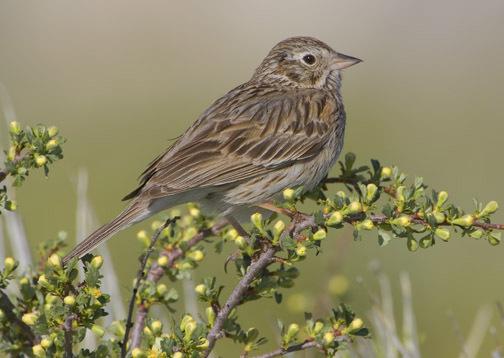 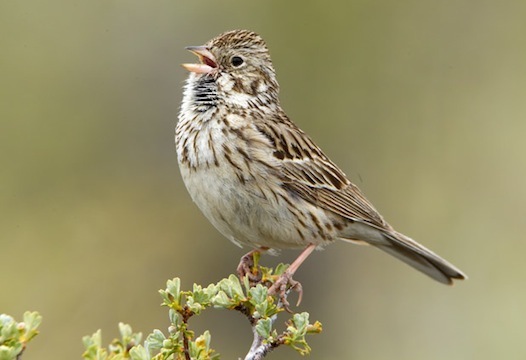 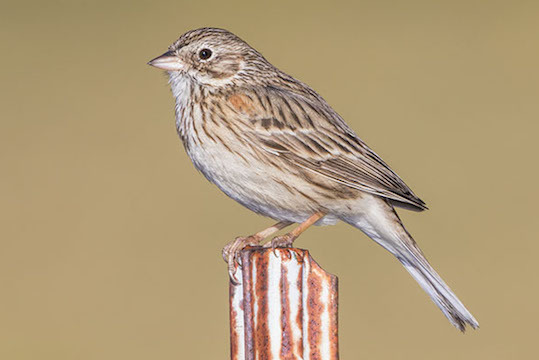 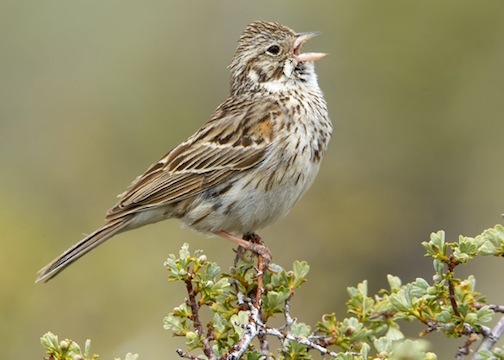 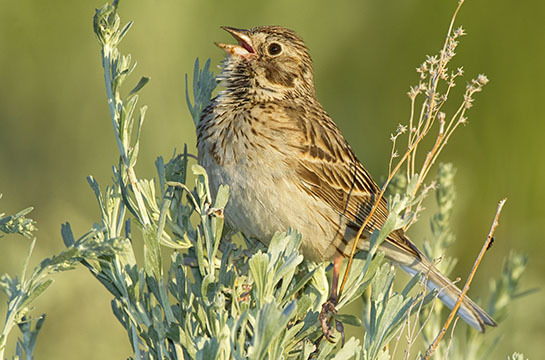 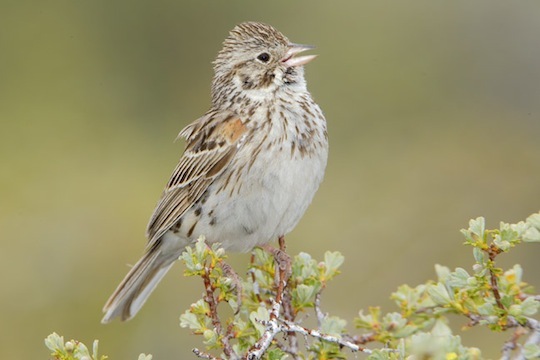 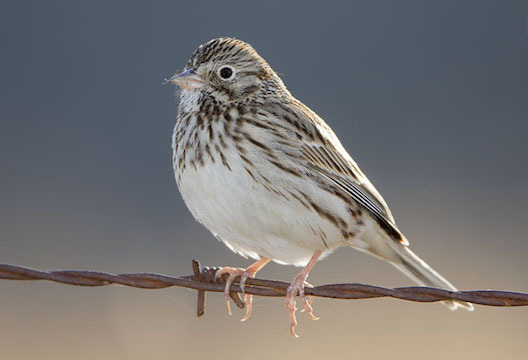 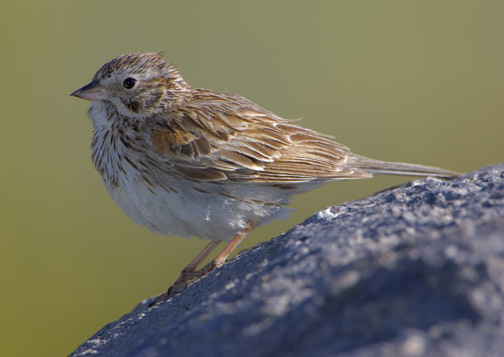 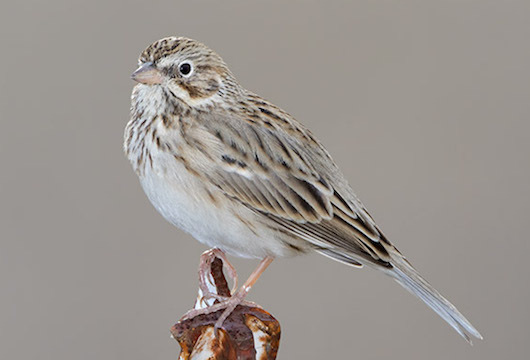 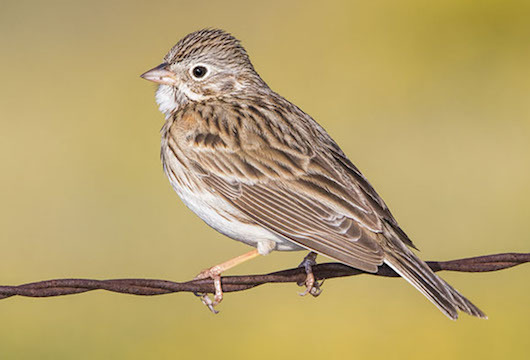 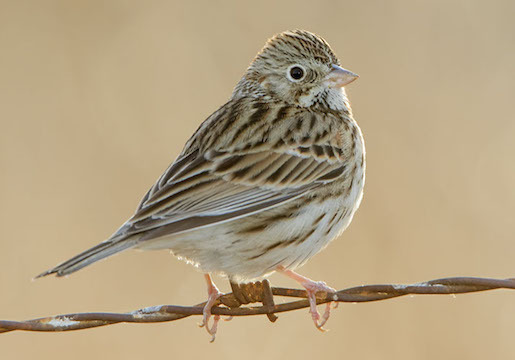 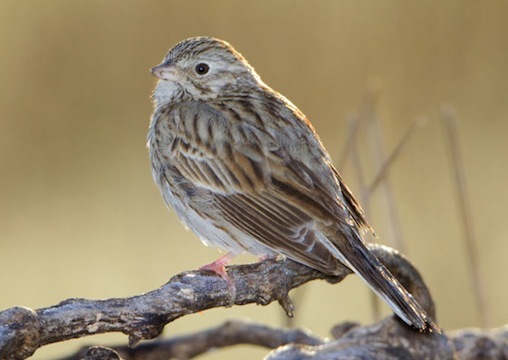 The other sparrows were breeding in Yellowstone Park in Wyoming, or wintering at the San Jacinto Wildlife Area in Riverside County, California.